This is glass run that install in the car door around the window glass . 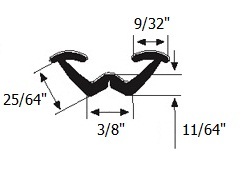 all details about the install place and dimensions is clarified in the pictures . 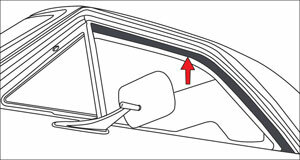 You can select the appropriate Flocked glass run for your vehicle by the dimensions . you can compare this glass run dimensions and your old glass run dimensions . Height : 10 M.M . Width : 9.7 M.M . Materials : Rubber / Flock . Order code : B004 . - in the car door glass channel around the window glass . 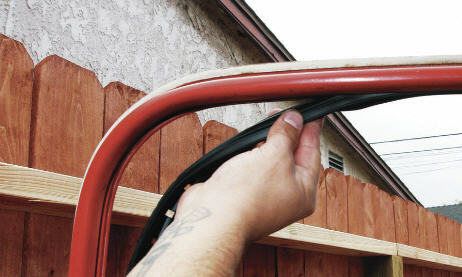 - window Weatherstripping rubber for Trailer . - glass track for campers . - heavy equipment window glass run . - Fiat cars glass run . - glass channel for bus window . - weather stripe for Car windows . - flocked glass channel for trucks . - caravan window weather seal . - contain flock to make the glass move is easy . will be griping in the window track without adhesive or any other thing ) . - prevent leaks , gaps and vibration . - prevent entry of dust , air and rain water . - Make the glass move is easy . I have just downloaded iStripper, so I can have the best virtual strippers strip-teasing on my desktop.